We start with tea & coffee and informal networking between 7:30 and 8am and then sit down for some more structured networking and a full breakfast. PLEASE NOTE: Your contact details, including your email address, will be included on the printed attendees list distributed at the Business Breakfast unless you inform us otherwise. 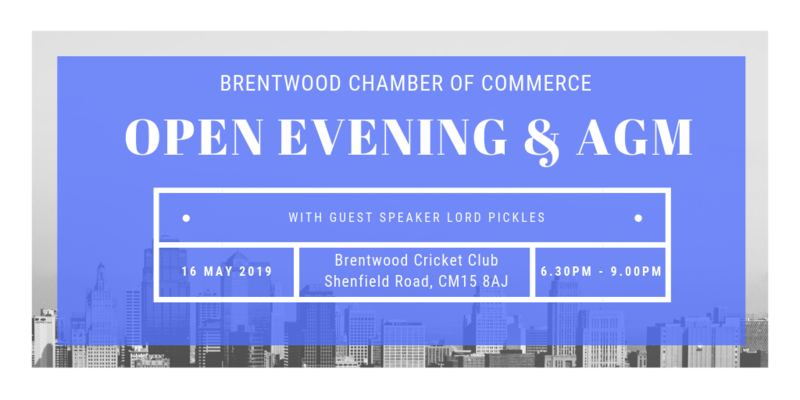 All of the above for the price of £125 (currently booked up until December 2018), represents an excellent opportunity to promote your organisation to the business people of Brentwood. Monthly Sponsorship is now available for 2019. For more information or to reserve your month, contact Colin Barber (click on link).